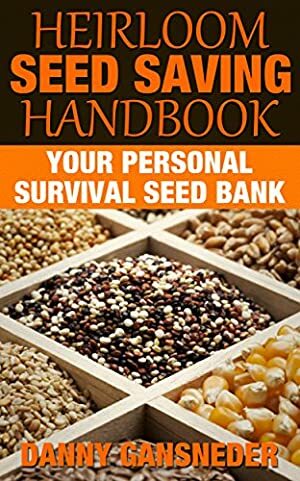 "Heirloom Seed Saving Handbook" is a short introductory guide that will walk you through the steps of what it takes to become an heirloom seed grower. Have you considered a healthier gardening or farming lifestyle and are looking to grow something that is all natural? Then this is just the thing for you. In this short guide you will learn what characteristics seeds needs in order to be considered an heirloom, a brief history on heirloom seeds, and how you can grow and store them yourself. If you have heard the terms heirloom seeds or seed saving, this guide will tell you exactly what is meant when garden enthusiasts or farmers use these terms. Find out how to grow heirloom seeds yourself and then how to gather the seeds from the plants you grow for future planting seasons. Plus, find out what some of the benefits you will reap are by starting to grow your own organic garden. There is plenty of information between these pages to get you started in a new hobby or even a new lifestyle. Still worried about if you are going to be able to accomplish this task? This guide features guidelines on steps on how to grow your plants, watch them flourish, harvest seeds and detailed instructions on storing seeds and keeping them fresh. This text also includes a list of common garden plants with short descriptions of the necessary care needed for each when it comes to planting, growing, and harvesting. This list gives information on the type of pollination each plant requires, how far isolated a plant should be planted away from others it is capable of potentially cross-pollinate with, what type of seed each plant produces (wet or dry), how seeds will be harvested, and how long seeds can be stored for. So, if all this sounds like something you are interested in getting into, check out what this guide has to offer. Become a part of something that will reward you in many different ways and give you a fantastic sense of accomplishment. But, not only that, start your heirloom garden today and become a part of history. Track It. This book reaches FREE about 10 times a year. Log In to track Danny Gansneder on eReaderIQ. to be notified each time the price drops on any book by Danny Gansneder. to stop tracking Danny Gansneder. Log In to track Duel City Books on eReaderIQ. to be notified each time the price drops on any book by Duel City Books. to stop tracking Duel City Books. We started tracking this book on June 12, 2015. The price of this book has changed 82 times in the past 1,408 days. This book has been FREE 41 times since we started tracking it. The highest price to date was $2.99 last reached on March 30, 2019. This book has been $2.99 42 times since we started tracking it.